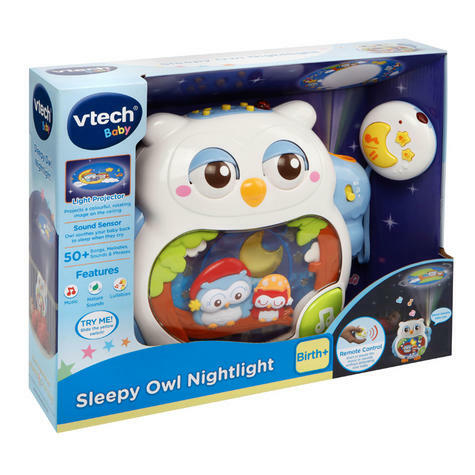 Soothe your baby to sleep with the lovely Sleepy Owl Nightlight cot soother. 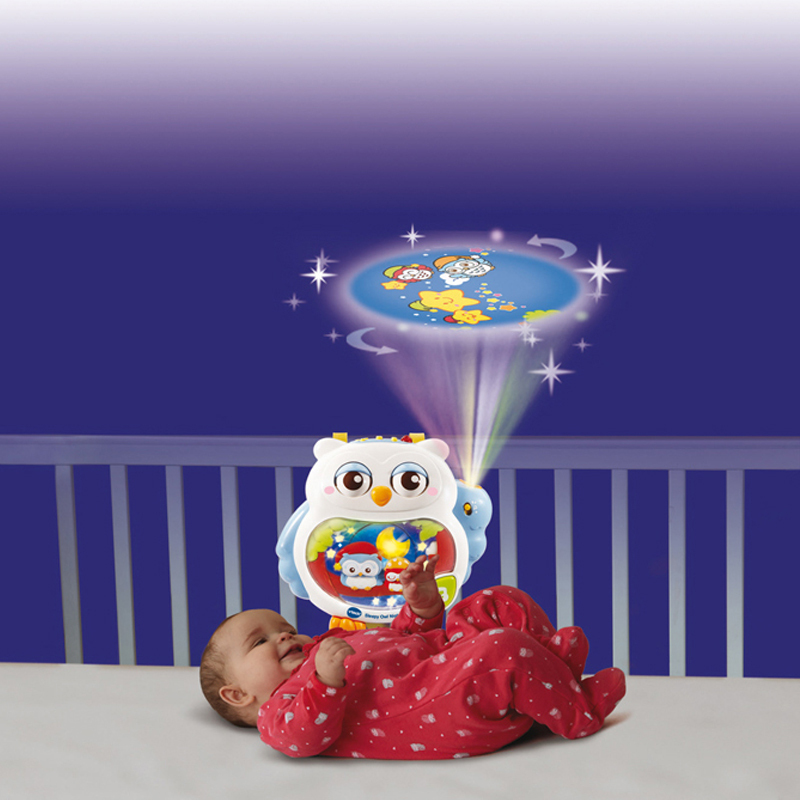 This adorable owl cot soother features a magical rotating background with light up stars to attract baby. 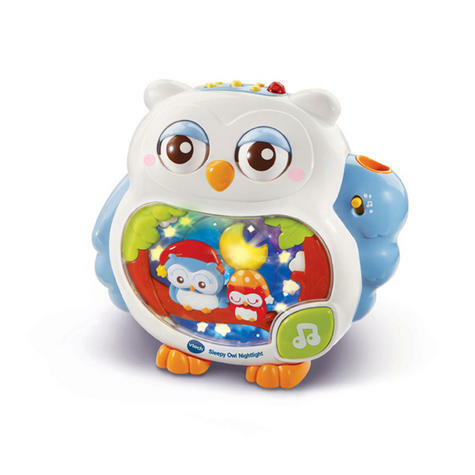 2 modes of play include a variety of soothing nature sounds in the sound mode or 40 relaxing melodies and 3 calming songs in the lullaby mode. Use the remote control to play or pause the music or sounds. Soft light patterns glow onto the ceiling from the projector. 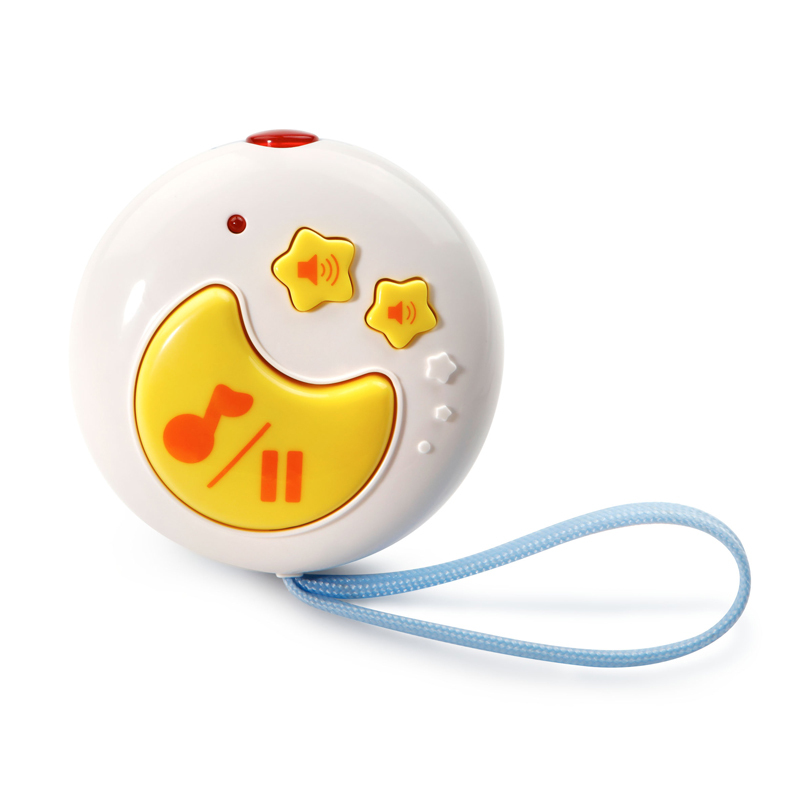 Includes a 10,20 or 30 minute timer, a sound sensor and a volume control button. 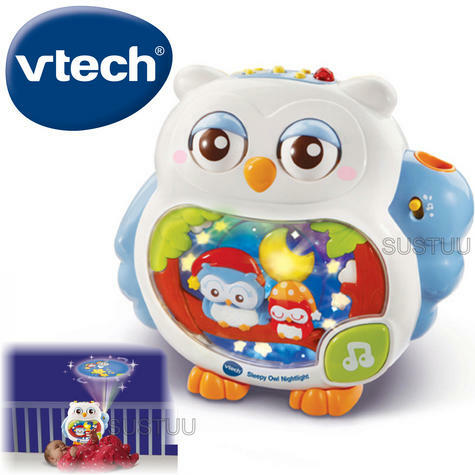 Buy with Confidence from a vtech Authorised Dealer and All Purchases come with a VAT Receipt.